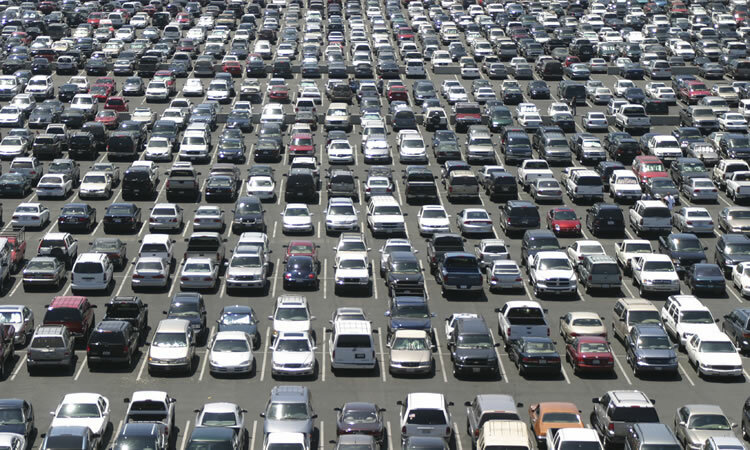 Ahhh parking lots… We love the convenience but hate the frustrations, especially when people are driving too fast and backing out of spots without looking. That behavior just so happens to be the cause of many door dings and irritated drivers. Even worse, careless behavior can cause a collision or injury. Don’t speed. Speeding decreases the amount of time you have to react when a child runs out in front of you, another driver stops suddenly or a car begins backing out unexpectedly. Use your eyes, mirrors and cameras. Keep a lookout at all times, even if the lot seems empty. When you’re pulling into a spot to park, watch for doors being opened. When backing out, look all around and proceed slowly. Give yourself and others space. Parking in between the lines and in a spot sized for your vehicle may help to minimize dings and scratches. Better yet, park in a less-crowded area and enjoy the stroll into the store. Oh and always, always park away from stray carts. Expect the unexpected. Assume things will happen. Assume someone will dart out in front of you. Assume a cart will come rolling toward you. Assume someone might back out without seeing you. When you’re on guard, you are better prepared for those who aren’t. Be respectful. A little kindness goes a long way in a parking lot. Stop for pedestrians, don’t cause traffic jams waiting for a spot to open, don’t try to beat someone into an open spot and don’t lose your cool. Remember, when you’re watching for dangers, you have a better chance at avoiding them. But, if you experience and incident, give your Agent a call to discuss filing a claim.